If you’re looking to re-energize your practice and freshen up on how principled Chiropractic can inspire you, join us at this year’s LIFE Vision Seminar at the Renaissance Atlanta Waverly Hotel and Conference Center. Remember your Lasting Purpose? Forgot what’s powering you and your practice? Re-acquaint yourself with these guiding principles for not only your and your practice’s enhancement, but for your patients’ improved care. LIFE Vision 2019 is also a family affair! With our free Chiro Kids Club available both event days, don’t leave the children behind. We want to celebrate with the entire chiropractic family! LIFE Vision Seminar is a two-day boost to all who attend. Throughout both high-energy days, you’ll experience inspirational and educational moments designed to bring current and future Chiropractic leaders of all perspectives together to connect and recharge. The focus of LIFE Vision is to inspire you to live your Lasting Purpose by learning to Give, Love, Serve and Do out of a sense of abundance. Our goal is to help you discover and live your ‘something,’ your ‘magic within.’ Join us at LIFE Vision 2019 and learn to fully understand and embrace contemporary chiropractic philosophy! This seminar is for Chiropractors, educators, administrators, Chiropractic assistants, and students of Chiropractic seeking to connect and recharge with current and future Chiropractic leaders of all perspectives. This powered-up conference format is for those seeking live advice for the modern Chiropractor and Chiropractic Assistant, and for those seeking insights, friends, memories and contagious excitement. This seminar is for those wishing to prepare themselves for success – mentally, physically and spiritually. 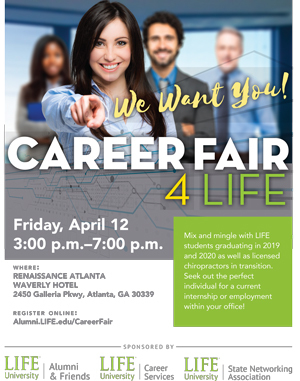 Seminar: 9:00 a.m. – 6:00 p.m.
Click here to register for the Career Fair as either a practice with an opportunity or as an individual seeking an opportunity. Thinking of staying home because you don’t know what to do with your children? LIFE Vision Seminar now offers the Chiro Kids Club for children from 4- 12 years old. For only $20 per child, add this to your registration using the registration link. Parents must pick up their children during meal times. Activities will be coordinated in groups for ages 4-6 years old, 7-9 years old, and 10-12 years old. All prices include Expo Dinner on Friday evening. Please note: there will be NO refunds for any LIFE Vision registrations. All prices are in USD. 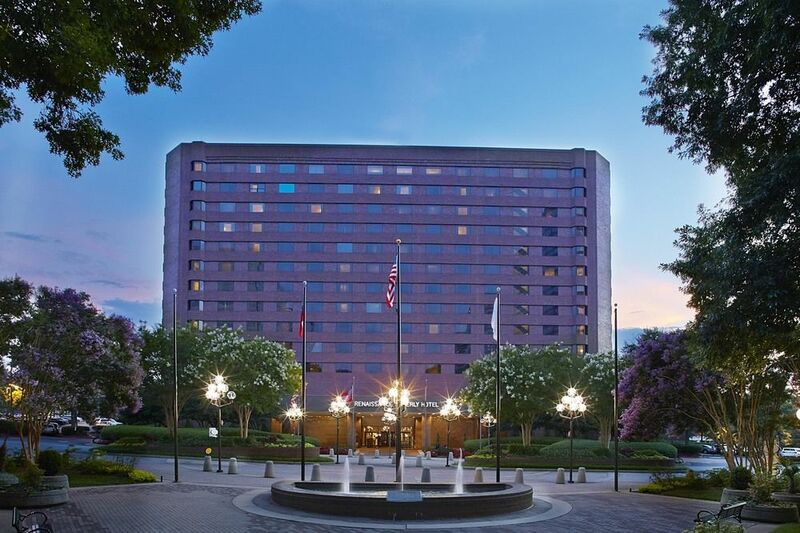 Group rates are available for LIFE Vision 2019 atThe Renaissance Atlanta Waverly Hotel and Conference Center at the special rate of only $169.00 USD per night April 11-April 14. Last day to receive this special rate is March 21, 2019, so make your reservations today and save! Questions? Call 770-794-3031, email LIFEVisionSeminar@LIFE.edu or CONTACT US.